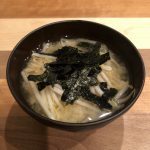 When I search online there are many recipes such as sauteed brussels sprouts or roasted brussels sprouts. 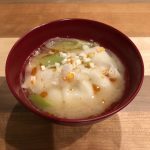 Either one looks very good and I think they can be so delicious relish. 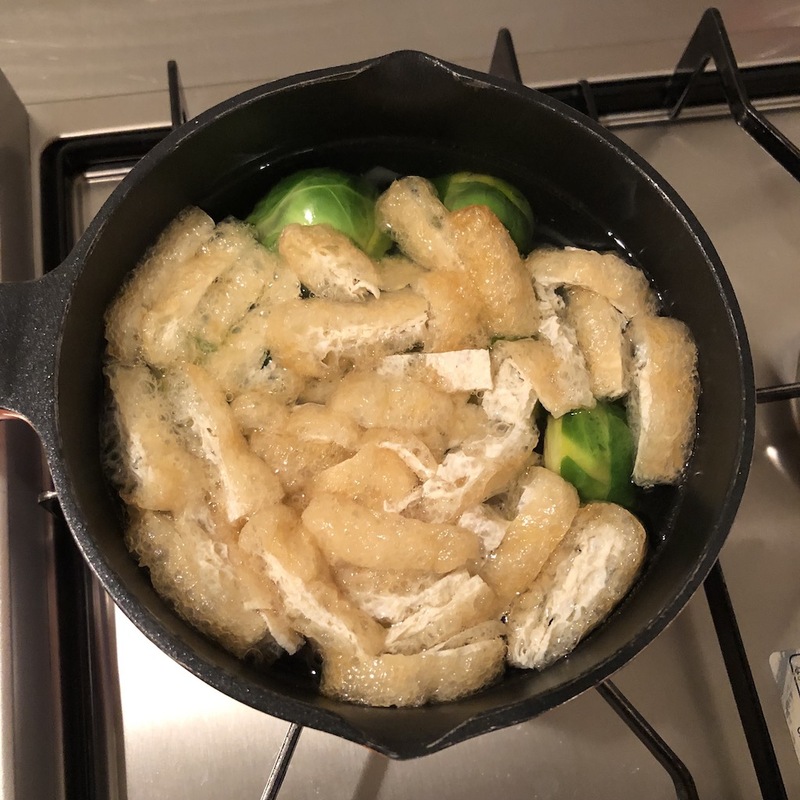 To be honest I’ve never used brussels sprouts for cooking and they are not so familiar in Japan actually. 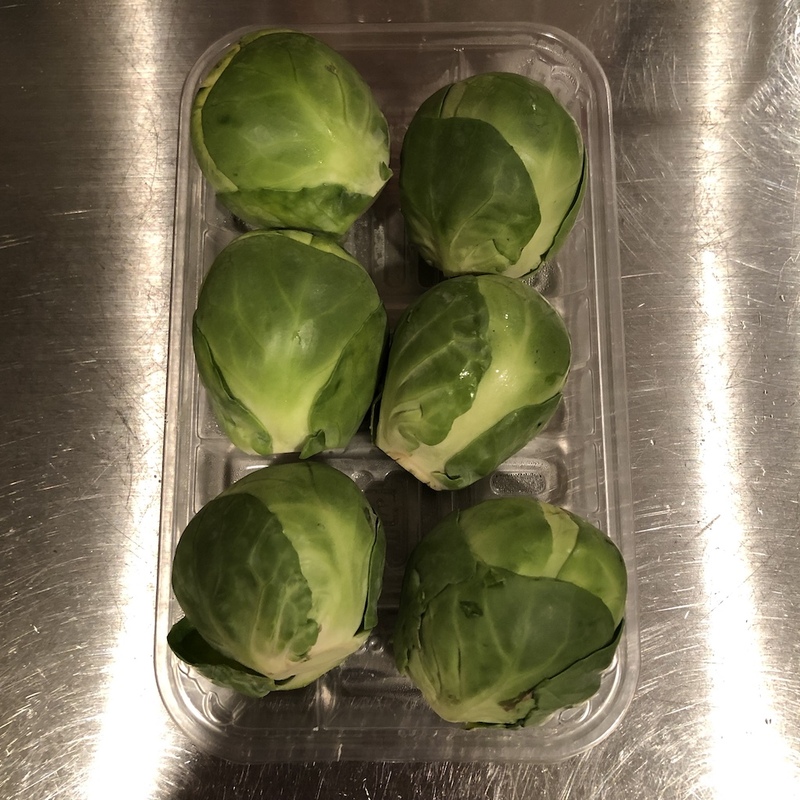 Although it’s unfamiliar material I really like the looks of brussels sprouts. The appearance is like a “tiny cabbage” for me and I think it’s so cute and photogenic. 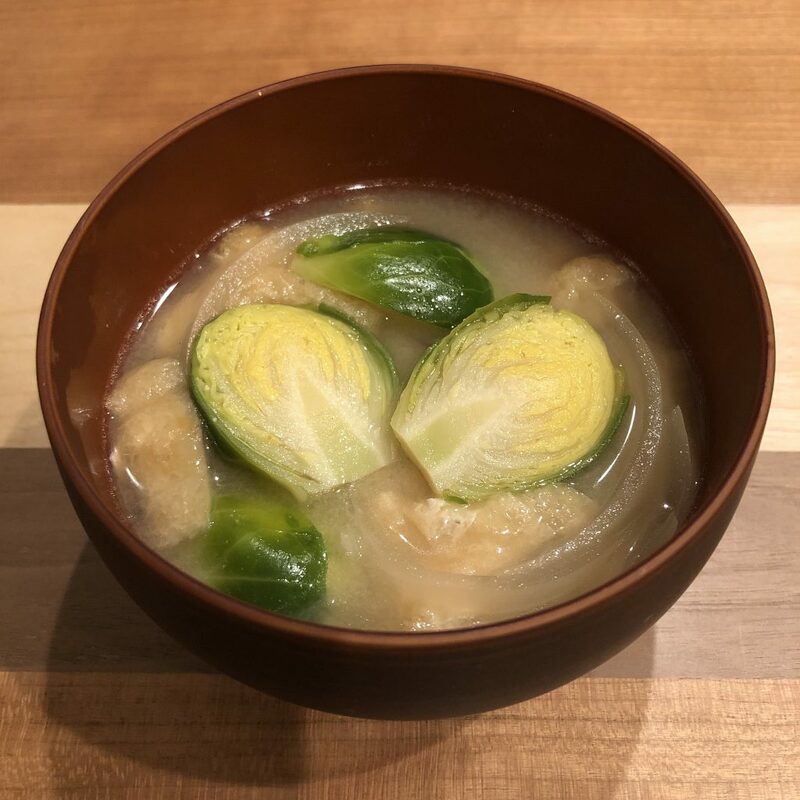 Since well simmered cabbage is suitable for miso soup, I want to try brussels sprouts too. 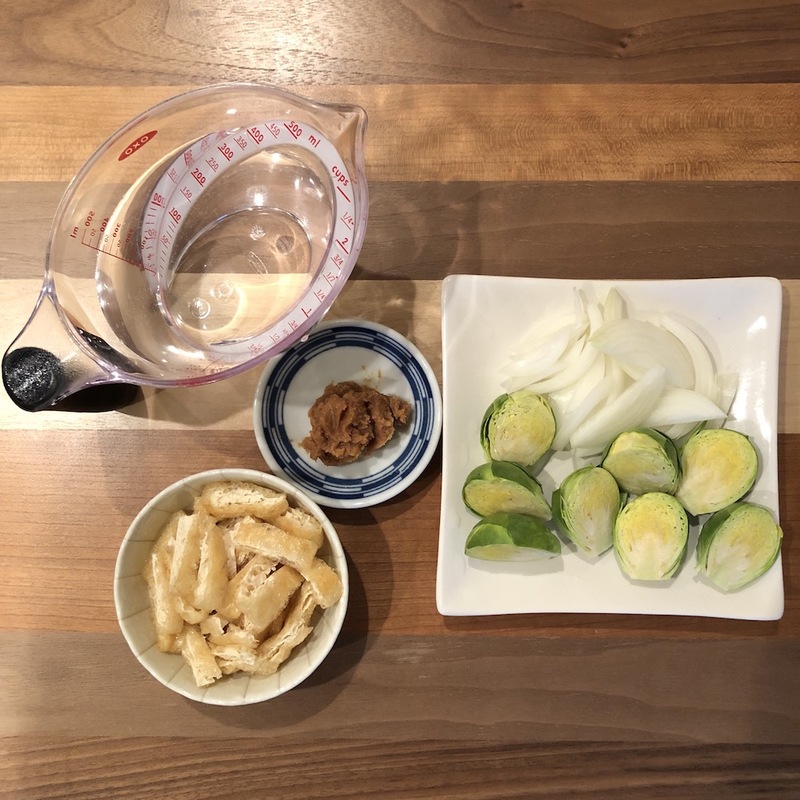 I’m excited that my first brussels sprouts recipe will be not roasted dish but miso soup and I hope the picture will be nice too as I imagine! 1. 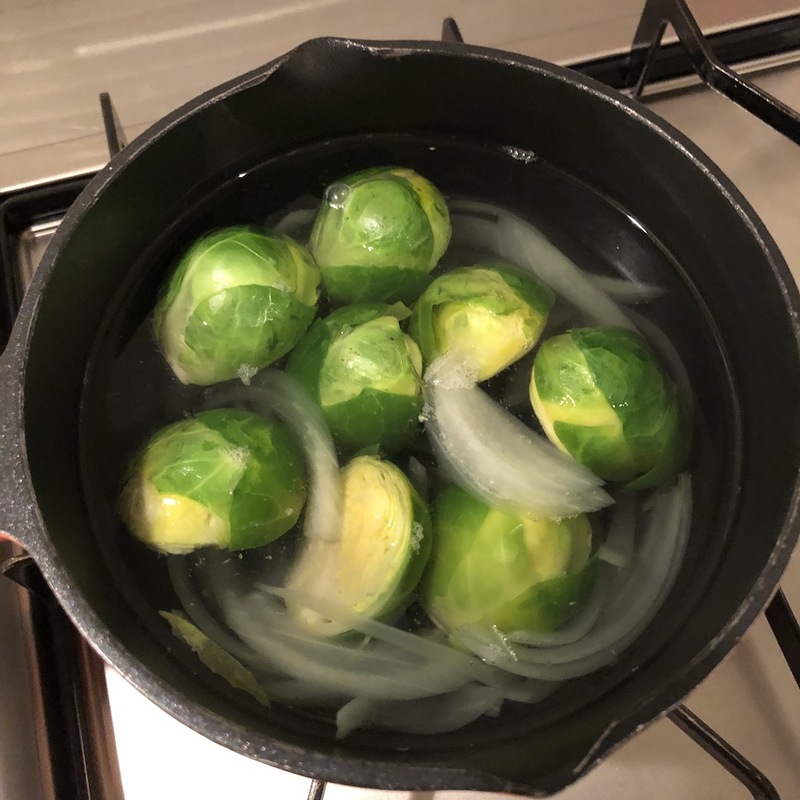 Heat water, brussels sprouts, and onion in a saucepan until onion turn translucent. 2. 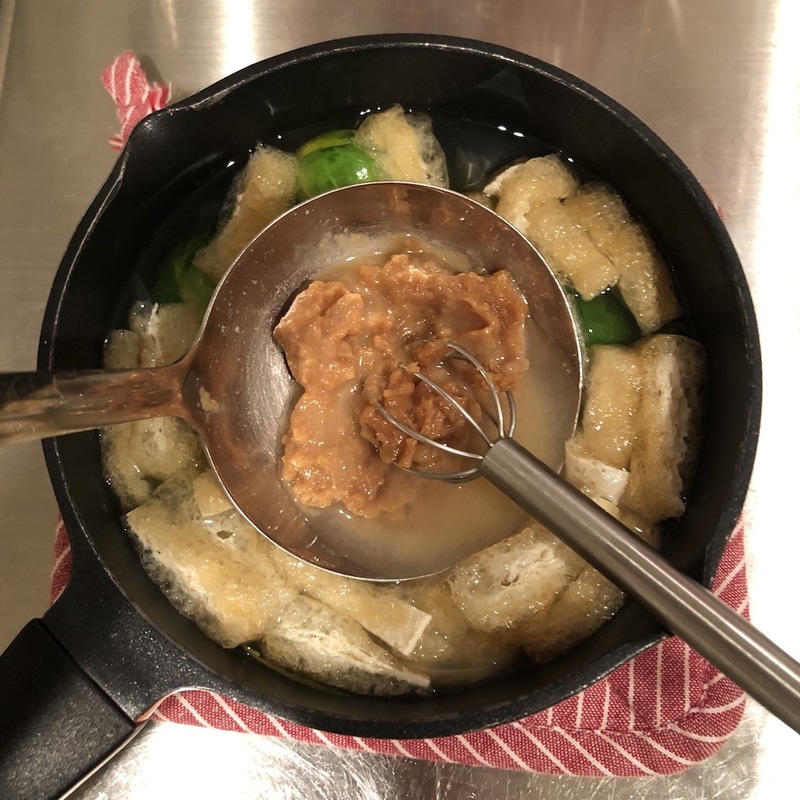 Add thin fried tofu and dashi granules. Simmer again for 1 min, and remove from heat. 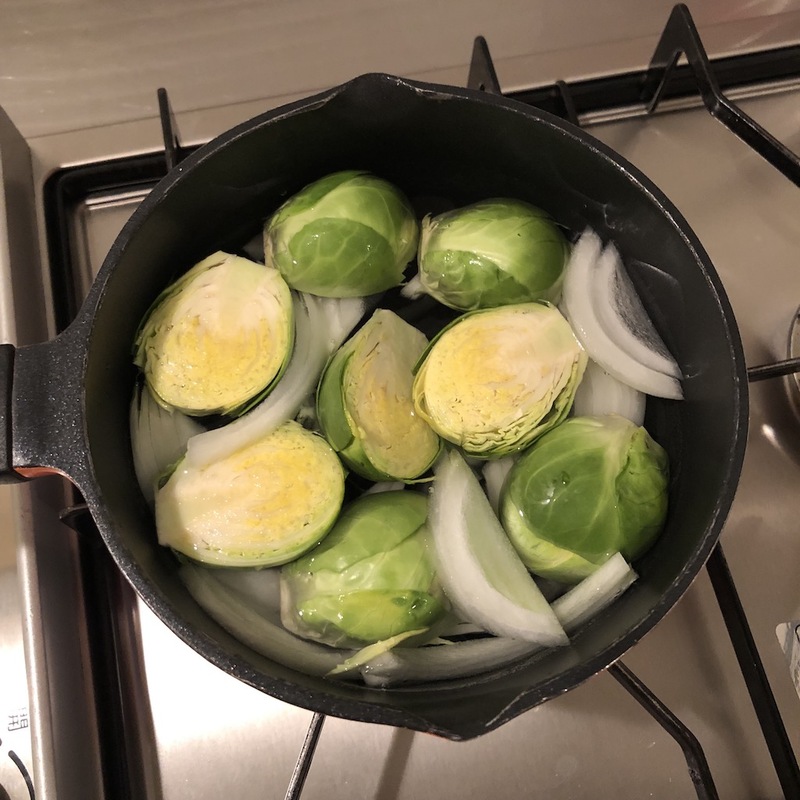 Brussels sprouts is small but its leaves are really dense so it’s better to simmer well. In that way brussels sprouts get nice and soft. 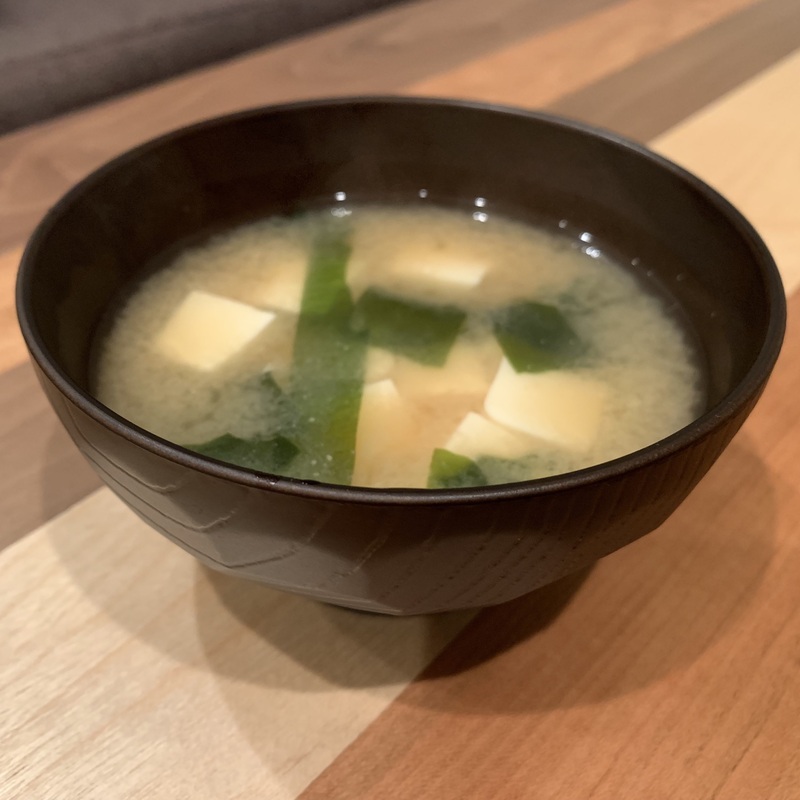 Juicy thin fried tofu is the key for this delicious miso soup too! By the way I made deep fried pork rolls with brussels sprouts using leftover. It was great.